The SYRIZA-led government, elected only four months earlier had just emptied out its holding account at the International Monetary Fund to pay the Washington-based organisation and had drawn supposedly indelible “red lines,” such as no further cuts to pensions and wages, in its negotiations with creditors over a new assistance package. 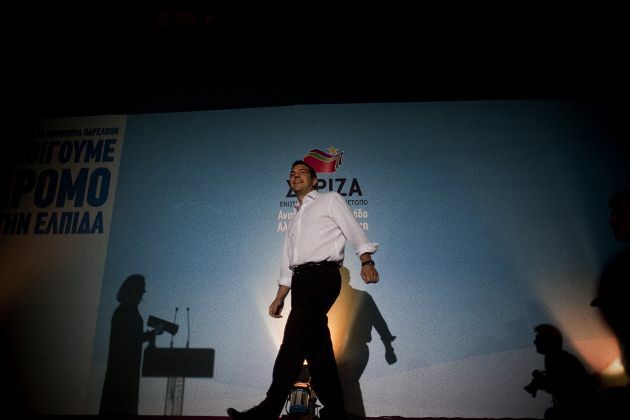 At that time, the prospect of Tsipras doing an about-turn, signing a third bailout and then proceeding to adopt 3 percent of GDP in new austerity measures (including cuts to pensions and increases in income and indirect taxes), creating a vast new privatisation fund, agreeing to the sale of non-performing loans and even adopting a contingent mechanism to apply further cuts if needed seemed inconceivable. At that time, it appeared as likely as Leicester winning the English title, which carried odds of 5,000/1. In both cases, it will likely take years of study before someone can come up with a comprehensive and convincing explanation about how this incredible transformation took place. While football experts may focus on the role played by Leicester owner Vichai Srivaddhanaprabha and the fortune made through his duty free company King Power, analysts examining Tsipras’s conversion may choose instead to concentrate on the left-wing politician’s desire to remain in power. The fact that Tsipras was able to guide his party this far says something about his political ability, regardless of whether you believe his talent lies in persuasion, populism or hucksterism. Even minutes before the vote on Sunday, Tsipras was scheming his schemes in order to ensure there would not be any defections from the government’s group of 153 MPs. Late plans to freeze the wages of policemen and military personnel (a key voter pool for his coalition partner Independent Greeks) for 2017 and 2018 in order to save almost 120 million euros was shelved. He also cast away the intention to ask low-income pensioners who receive the special EKAS benefit to pay back whatever they received this year as part of the plan to scrap it. Instead, Tsipras, announced the creation of a solidarity fund (financed by part of any extra primary surplus) to help the worst off, thereby sweetening the pill for his anxious MPs. Only one deputy, Vassiliki Katrivanou, was not totally convinced. But her decision to vote against two articles was followed by a resignation and her replacement, meaning the government’s three-seat parliamentary majority remained intact. Tsipras’s adroit management of his team over the last few months has only been bettered by Leicester coach Claudio Ranieri. Having seen his MPs vote through a raft of legislation that goes against SYRIZA’s core ideology, Tsipras now appears to have gained himself some respite as there are no testing new measures that have to come before Parliament soon. However, Tsipras’s next challenge is of a completely different nature. It is no longer his MPs he has to worry about, but voters. The about-turns, broken promises and the sense of cynicism that his government has left in its wake has alienated a large part of the electorate. There was a time last year when Tsipras could do no wrong for many Greeks but an opinion poll published by Public Issue on Monday indicated that he is just the sixth most popular party leader, out of a total of eight. His approval ratings are at 27 percent, 16 points behind first-placed Vassilis Leventis, the quixotic and ageing leader of the non-descript Union of Centrists. 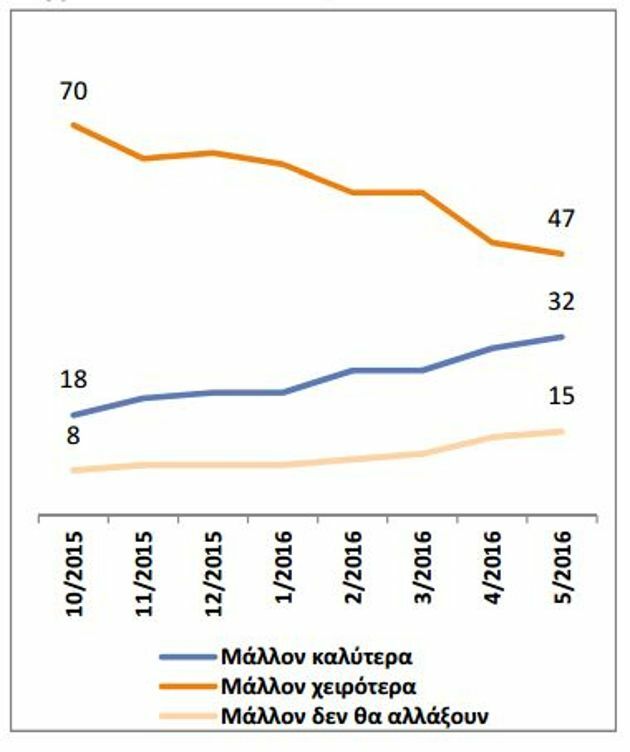 Meanwhile, 87 percent of respondents said they are displeased by the performance of the SYRIZA-Independent Greeks government. Apart from this overall feeling of displeasure, Tsipras also has to contend with specific cases of anger, prompted by the measures that have been voted through. Public transport workers and dockers in Athens and Thessaloniki are already launching protests over privatisation plans, while many Greek businesses are looking to move abroad (to Bulgaria and Cyprus) to avoid what they see as an asphyxiating tax system. Another, less visible, threat to Tsipras’s haphazard premiership is that it has proved a catalyst for growing discontent with the euro, which was fuelled by last July’s referendum. The Public Issue survey indicated that Greek’s opinion of the euro is on a steady downward course. According to the poll, 54 percent have a positive view of the single currency, compared to 66 percent late last year. During the same period, the negative view of the euro has risen from 32 to 44 percent. Even more significantly, there appears to be a growing proportion of Greeks who believe that after a 1- or 2-year-period of hardship, Greece would be better off with its own currency rather than in the euro. 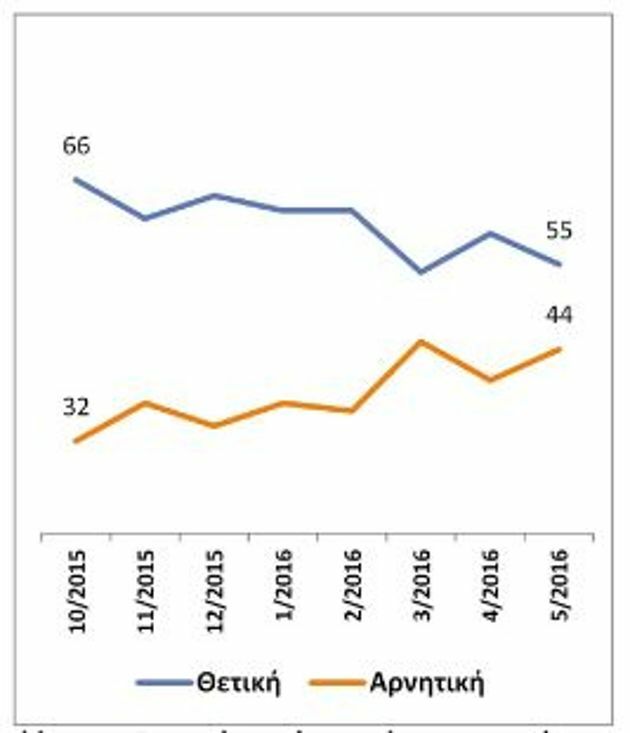 Public Issue found that 32 percent of Greeks support this view, compared to 18 percent seven months ago. The proportion of those who do not believe that a brighter future lies outside the eurozone has plummeted from 70 percent to 47 percent during the same period. It appears that many of the Greeks who voted "No" in the hastily-arranged referendum have held on to the hope that Greece will return to the drachma, an idea that Tsipras and SYRIZA toyed with for some time before the Greek prime minister decided the cost would be too great. It may be the case, though, that the prolonged flirtation with Grexit was enough to let the genie out of the bottle. In a strange way, Tsipras could find himself facing the same problem as Ranieri in the months ahead: Managing the expectations that he has created.